Boasting the same advanced technology as the extraordinary KingQuad 750AXi, the 2011 Suzuki KingQuad 500AXi Power Steering is engineered to help you cut the work day down to size – or conquer the toughest trails. The 500AXi offers plenty of class-leading features: advanced power steering provides lighter steering and more responsive handling, while its fuel-injected 493cc engine gives the 500AXi exceptional performance. 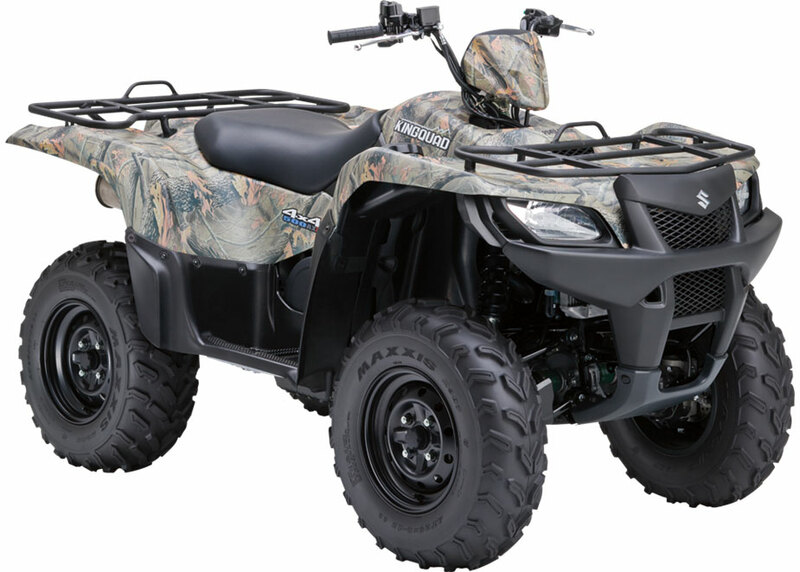 Independent rear suspension, a locking front differential and a host of other valuable features place the KingQuad 500AXi at the front of the pack.